Making meals mid-week when you’re already run off your feet, tired and lacking motivation can be a serious pain. But what if there was a way to take the hassle out of the weekly meal cycle? What if there was a way to save money with home cooking while at the same time eating healthily and not spending hours every day peeling, chopping and sautéing? Well there is, it’s called meal prepping. Spending a few dedicated hours on the weekend to shop and prep will save you so much time, money and frustration in the long run. So if all this sounds appealing, keep reading for some seriously handy meal prepping hacks you can incorporate into your life today! 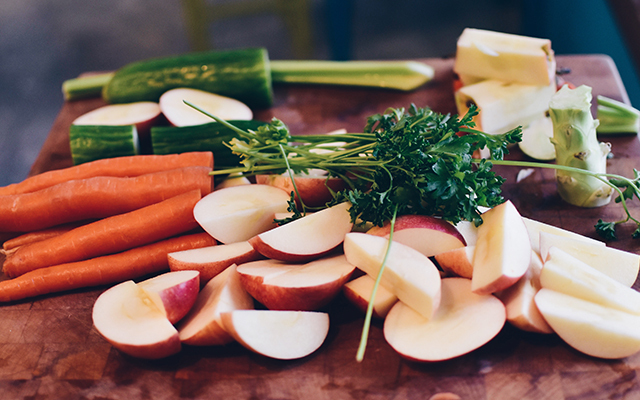 Chopping and washing your vegetables all in one go can save you lots of time when it comes to making daily meals (around 40 minutes once a week vs 15-20 minutes every day). So, when you get home from your weekly shop, dedicate 40 minutes to washing and chopping veges in preparation for the week to come. Store them in containers in your fridge and use them as needed. For a rough guide as to how long chopped veges will last in the fridge, check out this chart. Slow cooker meals are not only healthy, but generally they’re pretty cheap to make. Even better is that fact that you can prep a whole stack of them at the same time in an hour or so, and then pop them in the freezer for a week’s worth of dinners! 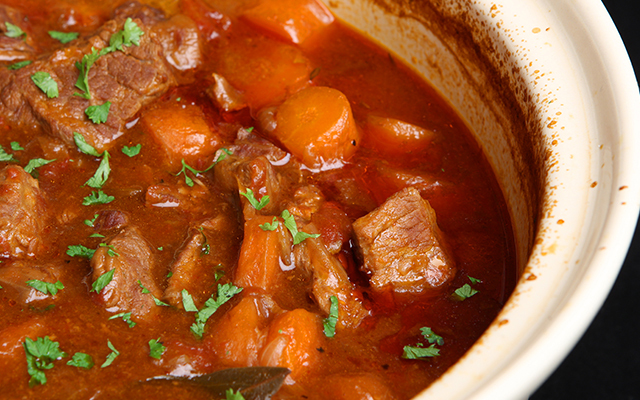 For some freezer-friendly slow cooker ideas, check out these recipes. This hack is pretty genius for making a few different meat dishes at once! 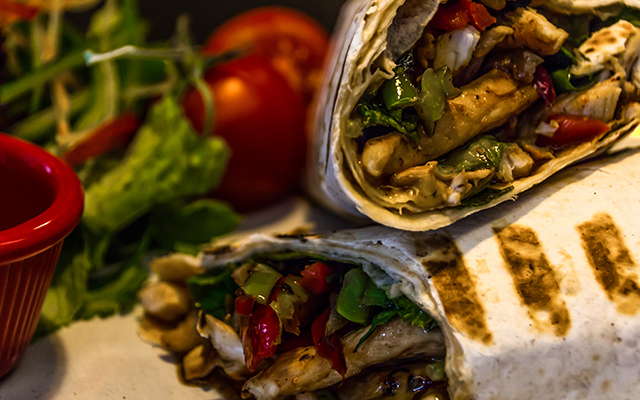 All you need is one tray, some aluminium foil, meat and marinades. Start by getting a large baking tray. Line the tray with foil, and then using the foil make two walls, to create three distinct sections of the tray. Each of these sections can be used for a different meat and marinade! So now all you need to do is pop your marinaded meats into the different compartments, and put the tray in the oven to bake until the meats are fully cooked. Chopping your meat before you freeze it will save you defrosting time in the long run. It also helps you to cut down on wastage and control portion size. Also, marinading your meat before you freeze it, according to celebrity chef Nigella Lawson, deepens the marinade and makes the meal all the better when cooked. If you’re into making your own sauces, make a few that can serve multiple purposes. For example, make a pasta sauce that can also be used as a pizza sauce, or an accompaniment to meatballs, or even as added flavour for a stuffed capsicum. For some sauce ideas, check out these Jamie Oliver recipes. 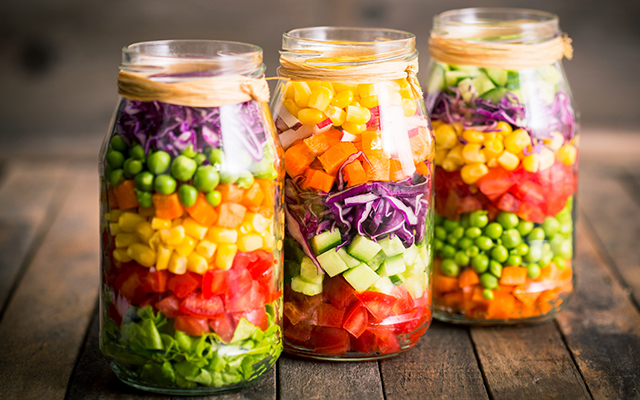 Mason jar salads look pretty and are very trendy at the moment, but they are also really great in terms of keeping salads fresher for longer. Basically the key lies in how they are stacked. You layer your heavier/wet ingredients down the bottom of the jar, and lighter ones towards the top. With the lid firmly secured, salads can last a few days in the fridge. For ideas, check these tasty recipes! A smoothie is a quick and healthy breakfast. What makes them doubly perfect is that they can be prepared well ahead of time. Gather all the ingredients for your weekly smoothies and portion them out into daily bundles. Pop these into individual bags, and freeze them. When the morning rolls around, all you need to do is pull out a smoothie bag from your freezer, plunk the contents into your blender, add water, juice or milk, and 30 seconds later you’ve got yourself a super healthy brekkie. 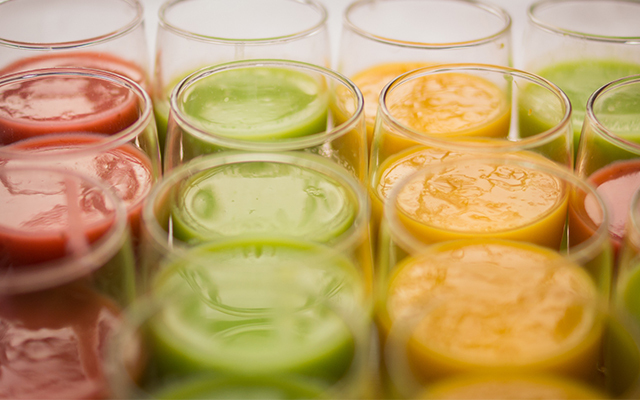 For smoothie ideas, check out these recipes. 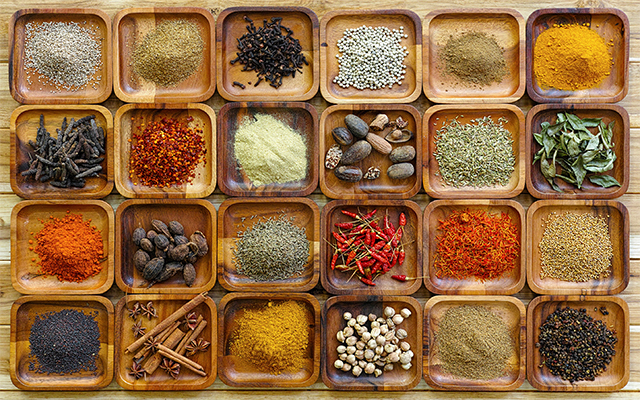 Adding spices to food can make similar dishes taste very different. So if you’ve got three loads of pre-chopped frozen chicken pieces in the freezer, use a selection of different spices to change up your chicken meal three nights in a row. For instance, one night you could try garlic and chili, another night basil and chili, and another night sesame seed and onion pepper. For more ideas, check out this spice chart. Need a quick, healthy snack? Try a boiled egg. A perfect protein portion, boiled eggs are easy to cook and you can make a whole stack of them and store them in the fridge for snacks on the go throughout the week. One sneaky trick, if you want to cook a whole bunch at the same time, is to put your eggs into a muffin tray and bake them for 30 minutes. That way you can cook a whole dozen in one go! Beans are super healthy, full of fibre and protein and can be added to almost any meal. Having some ready-to-use beans to chuck into soups, stews, salads and dips can make a huge difference to your meal, leaving you fuller for longer. To create a collection of ready-to-go beans, simply soak them overnight in water with a bit of salt and pepper, and garlic if you like. Then drain them and put them in containers. In the fridge, pre-cooked beans will last around seven days, in the freezer they will last around six months. Want some fast food on hand in case of emergencies? Why not make your own frozen burritos. You can make a whole batch in under an hour and freeze them for months. Simple, tasty and cheap they are a great way to fill up when you just can’t be bothered cooking. For a super tasty and simple recipe, watch this video. Both this Mediterranean salad, and this Quinoa and bean salad can be made in under an hour and can serve for a number of healthy lunches and dinners through the week. Want to make a week’s worth of quick breakfasts or snacks in under 40 minutes? Try this scrumptious and filling cheesy egg muffin recipe. If you have smoothie left over from your breakfast, or snack, why not freeze it in a muffin tray, then pop it into the blender whenever you don’t have the time or ingredients to whip one up! Alternatively, you could blend up a week’s worth of smoothies, and then use the muffin tray to freeze individual portions for daily use! If you’re looking for some inspiration, why not try these smoothie recipes? Oatmeal is healthy, filling and cheap. It also makes the perfect pre-made snack, meal or breakfast. 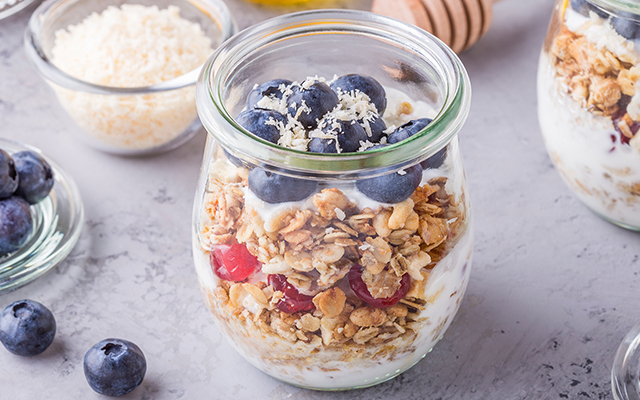 You can prep a whole week’s worth of oatmeal jars in mere minutes, and when you need to use one, simply pull it out of the fridge, add hot water and you’re ready to go. For oatmeal jar recipe ideas, check out Clean Food Crush’s list of simple recipes. With these helpful hacks you can shave hours’ worth of food prep off your weekday, leaving more time to do things you actually want to do, like spend time with your family, and study!